To celebrate its 65th anniversary, real estate company Qualico donated $1,000 to Big Brothers of Greater Vancouver as part of its 65 Acts of Kindness project. One of Qualico’s employees, Alex Faubert, has been practicing acts of kindness as a Big Brother for the past two years. “But some of my best memories with Davey come from quirky conversations we have in the car on our way to or from an activity. He seems to do some deep thinking in the car and will suddenly say something very funny, or share his thoughts on life with me. We have a lot of fun doing activities as well, but these fun conversations is where we really get to know each other,” says Alex. Since Davey was introduced to Alex through Big Brothers, Alex has noticed that Davey is more confident. “The changes aren’t always really obvious when you see each other week to week, but he is doing well in school and is making friends. He used to spend a lot more time indoors,” explains Alex. Davey’s dad works three jobs and his mom spends a lot of time caring for Davey’s brother who lives with autism. Davey’s parents signed him up with Big Brothers so that he could get additional quality time with a strong role model. “Being a Big Brother really gives you a chance to make an impact on someone’s life,” says Alex as he reflects on his journey with Davey. As a volunteer, Alex has seen first-hand how much behind-the-scenes work goes into supporting successful Big and Little Brother friendships. “All of the screening, training, and interviewing of applicants – it’s not a simple operation. Davey and I are assigned a Mentoring Coordinator [caseworker] and he is always there for us. It’s really important to have resources like that.” That’s why Alex did not hesitate to nominate Big Brothers to receive a $1,000 donation from his workplace. 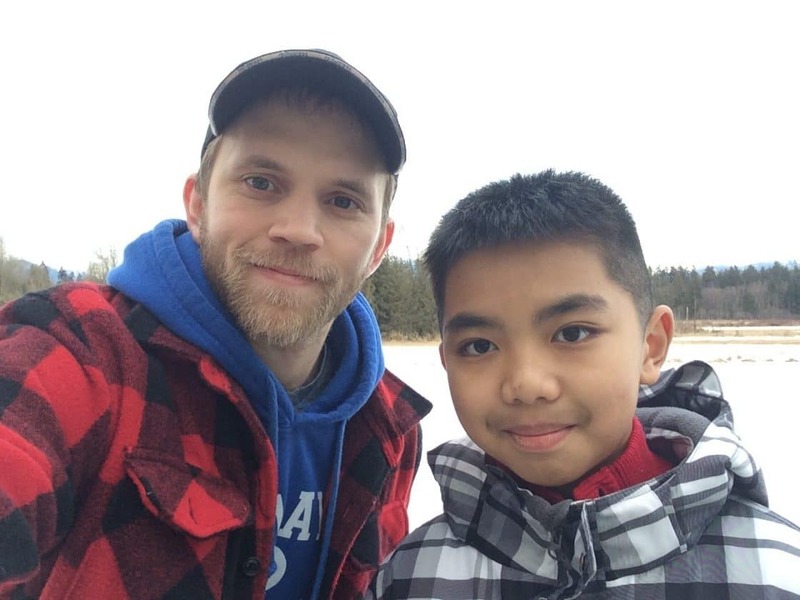 Thanks to Alex’s extra act of kindness and Qualico’s generosity, Big Brothers will help more kids like Davey find mentors. To help even more kids like Davey, volunteer or donate today. We currently have children waiting in every Lower Mainland city to be matched with caring volunteers like Alex. *Name has been changed to protect the privacy and confidentiality of the children whom we serve.